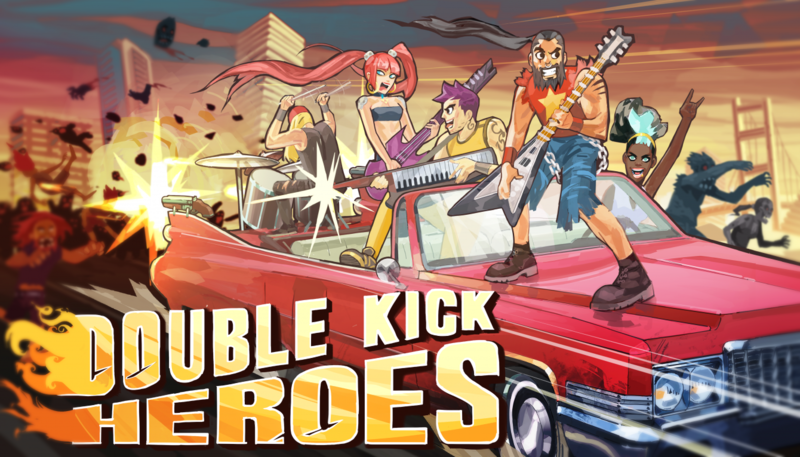 Double Kick Heroes will launch on Nintendo Switch and looks very loud and sounds very metal. Today, Nintendo’s new Indie Highlights took place, essentially taking the role of a Nintendo Direct but with an indie focus. We saw Wargroove and several other titles featured in the video. One of the titles announced during this video was Headbang Club’s Double Kick Heroes, a game that finds players in a car driving away from oncoming zombies while using the power of Metal music to kill ’em all. Double Kick Heroes is a rhythm metal shooter that features the gameplay going on in the majority of the screen, but across the bottom is a riff bar in which you’ll need to hit the oncoming riffs in time. Successful hits mean successful shots and getting away from the undead. The setting looks incredible arcade fuelled and features the player in a moving vehicle with a progress bar along the top of the screen. The zombies and other types of haunting creatures chase after you to knock down your available lives. Each riff type seems to fire different weapons, and some of the levels featured in the trailer look absolutely insane. Almost like Guitar Hero on steroids. The addition of keeping eyes on the enemies that grow closer also looks like it’ll add to the intensity. The title will come loaded with more than 30 original songs with licensed tracks and includes some guests such as Gojira, Ultra Vomit, Temnein, and more. You’ll also be able to use the Joy-Con controllers to rock along to the fast-paced metal music. I’d imagine strapping those Joy-Con straps on tight will be the best way to go! Double Kick Heroes is also available on PC as an Early Access title, but the trailer from the below video states that it will be arriving on Nintendo Switch first. The title is said to have an editor mode on PC that allows you to import your own tracks and design your own levels, but I can’t see this being included on the Nintendo Switch version due to possibly being unable to import tracks. 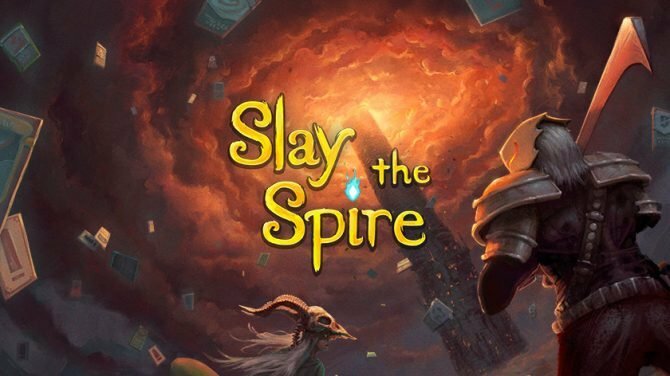 We got hands-on with the title during PAX East 2018. You can read Michael’s thoughts over here. The trailer starts at 02:17 in the below video. Double Kick Heroes is to arrive to Nintendo Switch first this Summer. It’s also due to launch out of Early Access on PC.